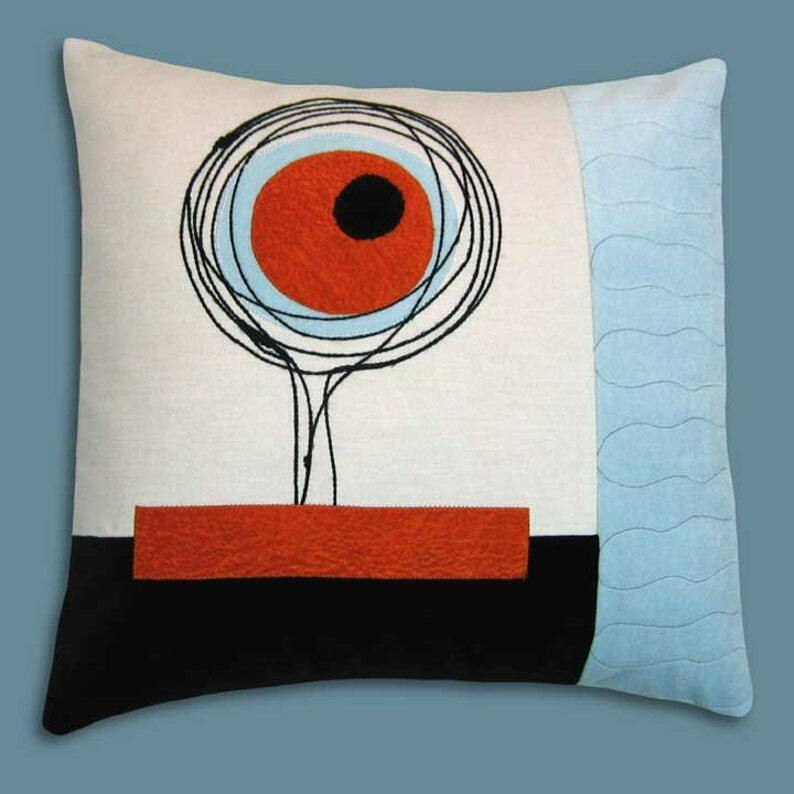 Details abound in these sophisticated yet playful pillows. Linen, cotton velvets, and stitching embelishments provide layers of texture, geometry, and color. A pallet of subtle cream, blazing orange, powder blue and rich blacks are juxtaposed to create depth and balance. The playful chainstitch "scribbles" are done by hand and are completely random making each piece one of a kind.